OMT K-E. Medical training and theory of manual therapy. Jochen Schomacher. Trento,18-19-20-21-22 january 2011. OMT K-E, – the upper extremities. Jochen Schomacher. 1-5 september 2013, Trento. Diacutaneous Fibrolysis, Myofascial Pain Syndrome, Soft tissues manual mobilitation courses with Prof. Josè Miguel Tricas Moreno, PhD. The following courses integrate elements of analytic stretching and functional massage. Diacutaneous Fibrolysis, Prof. Josè Miguel Tricàs Moreno & Pablo Fanlo Mazas. 1-2-3 february 2013 Brescia. Author (Patuzzo S, Bodin C, Pregarz M, Tosini S), of the book “Orofacial functions and – TMJ” (“Funzioni Orofacciali e ATM”), Cortina Editore, Verona 2012. Motor cortex excitability in left hemisphere during self and not self action observation in normal subjects and in stroke patients: A Transcranial Magnetic Stimulation Study. S.Patuzzo, P.Manganotti, A.Fiaschi. Dipartimento di Scienze Neurologiche e della Visione, Sezione di Neurologia ad Indirizzo Riabilitativo, Clinica Neurologica, Servizio di Riabilitazione Funzionale,Università di Verona, Italy. Neurorehabilitation and Neural Repair. Volume 16 issue 1, 2002. Motor cortex excitability in left hemisphere during self and not self action observation innormal subjects and in stroke patients: A Transcranial Magnetic Stimulation Study. S.Patuzzo, P.Manganotti, A.Fiaschi. Dipartimento di Scienze Neurologiche e della Visione, Sezione di Neurologia ad Indirizzo Riabilitativo, Clinica Neurologica, Servizio di Riabilitazione Funzionale, Università di Verona, Italy. 3World Congress in Neurological Rehabilitation Abstract Book. Abstract. Motor disinhibition in affected and unaffected hemisphere in the period of recovery after stroke. P. Manganotti 1, S. Patuzzo 1, A. Palermo 1, F. Cortese 2, N. Smania 1, A. Fiaschi 1. 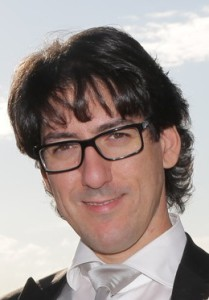 1 Sezione di Neurologia Riabilitativa, Dipartimento di Scienze Neurologiche e della Visione, Policlinico “Gianbattista Rossi”, University of Verona, 2 Fondazione Maugeri, Divisione di Riabilitazione, Ospedale Chiarenti, Zevio, Italy. 3World Congress in Neurological Rehabilitation Abstract Book. Abstract. Motor disinhibition in affected and unaffected hemisphere in the period of recovery after stroke. P. Manganotti 1, S. Patuzzo 1, A. Palermo 1, F. Cortese 2, N. Smania 1, A. Fiaschi 1. 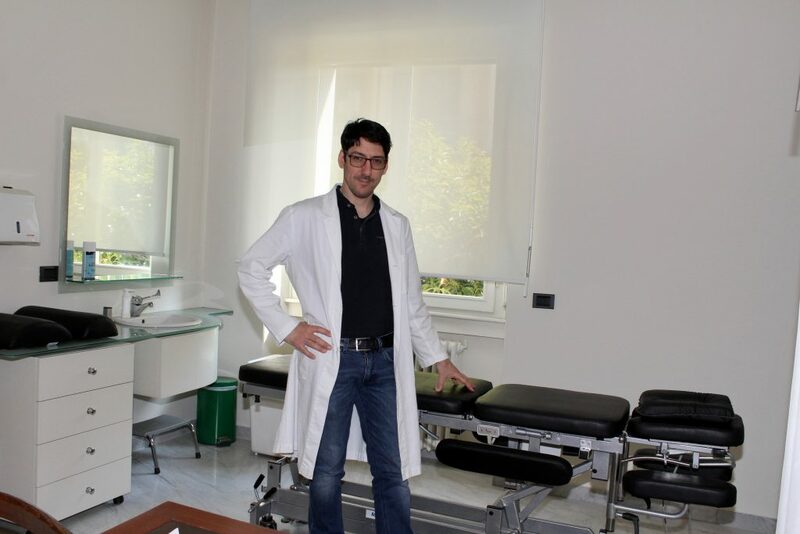 1 Sezione di Neurologia Riabilitativa, Dipartimento di Scienze Neurologiche e della Visione, Policlinico “Gianbattista Rossi”, University of Verona, 2 Fondazione Maugeri, Divisione di Riabilitazione, Ospedale Chiarenti, Zevio, Italy. Neurorehabilitation and Neural Repair. Volume 16 issue 1, 2002. Abstract. 3. Milano, Riabilitazione Oggi, 19-20 february, 12-13 march 2006. 4. Verona, UROG, 25-26 april, 19-20 may 2006. 5. Milano, Riabilitazione Oggi, 30 september-1 october, 14-15 october 2006. 6. Verona, UROG, 28 october 2006. 7. Verona, UROG, 4-5 november, 25-26 november 2006. 8. Milano, Riabilitazione Oggi, 18-19 november, 2-3 december 2006. 9. Trento, UPIPA, 22-23 november, 30 november-1 december 2006. 11. Ferrara, AUSL 19 october e 16-17 november 2007. 12. Caltanissetta, 24 november 2007. 13. Ferrara, AULS, 19 october,, 16-17 november 2007. 14. Milano, Riabilitazione Oggi, 10-11 november, 1-2 december 2007. 15. Caltanissetta, Riabilitazione Oggi, CEFPASS, 24 november 2007. 16. Ponte dell’Olio, 1-2, 15-16 march 2008. 17. 21-22 november 2009, Verona. 2. San Donà di Piave, 25-26-27 november 2004 3. Verona, 4-5 march 2006. 6. 15 maggio, 5-6 giugno 2010, Lecco. 4. Assistant teacher. Urogynecological rehabilitation, Verona, 11-12 november 2006. 5. online learning course “Research in the medical databases”, 2007-2009, Riabilitazione Oggi. 6. online learning course “Evidence-based Musculo-Skeletal Examination”, 2007-2009, Riabilitazione Oggi 7. Assistant teacher. “Urogynecological rehabilitation”, Verona 13-14 october 2007. 8. Assistant teacher “Urogynecological rehabilitation”, Verona, 5-6 april 2008. 9. Teacher of the course “Shoulder and cervical spine”, Verona, 7-8 june 2008. 10. Teacher of the course “Shoulder and cervical spine”, Lecco, 18-19 october 2008. 11. Teacher of the course “Shoulder and cervical spine”, Milano, 29-30 november 2008. 12. Teacher “Research in the medical databases”,18 april 2009, Pavia. 13. Assistant teacher. Urogynecological rehabilitation, Verona, 5-6 december 2009. 14. Research in the medical databases, 18 dicembre 2009, Verona. 15. Teacher “Pathologies of the lumbar spine”, 21 april 2012, Verona. Poster presentation: S. Patuzzo et al. “Motor cortex excitability in left hemisphere during self and not self action observation in normal subjects and in stroke patients: A Transcranial Magnetic Stimulation Study”, 3rd World Congress in Neurological Rehabilitation, Venice, Italy,5 april 2002. I National Congress “Motor imagery, recovery and therapeutic exercise” (Museo di Villa Pignatelli, Naples, 9-10-11 december1999). V National congress GTM-AIFI, “Tendinous and muscular lesions – from first aid to rehabilitation” saturday 3 november 2007,Desenzano del Garda. Seminar Prof. A.J. Thompson, “The role of rehabilitation in the management of progressive neurological disorders”, Verona, 12april 2000. Seminar Prof. L. Pizzamiglio, “Contribution of brain imaging in the investigation of motor recovery in patients affected by stroke”,Verona, Policlinico G.Rossi 31 may 2000. Seminar del Prof. L. Cohen “Use-dependent plasticity in human motor cortex: mechanisms and strategies for enhancement”,Verona, Policlinico G.Rossi, 7 june 2000. Seminar Prof. E. Taub, “Massive cortical reorganization resulting from costraint-induced (CI) therapy, efficacious new treatment inneurorehabilitation”, Verona, Policlinico G.Rossi, 23 june 2000. Seminar Prof. P.M. Rossini, “Transcranial magnetic stimulation: innovation in research, diagnosis and treatment”. Verona, PoliclinicoG.Rossi, 23 january 2002. Seminar Dr. Bonavita J & Dr. Cerrel Bazo, “New perspectives in the managment of spinal cord injuried patients: Interdisciplinaryapproach to spasticity and functional electrical stimulation”. Verona, Policlinico G.Rossi, 20 february 2002. Seminar Prof. S. Cappa & Dr.ssa D. Perani, “Imaging of action and language functions in the brain”, Verona, Policlinico G.Rossi , 20march 2002. “Movement and posture, instrumental analysis for functional diagnosis and rehabilitation”,Cuneo, 5-6-7 april 2001. “Analysis of compensatory factors in cerebrovascular lesions”; Pavia, 8-9-10 november 2001Fondazione Maugeri. “Respiratory rehabilitation in the neuro-muscular pathologies”, University of Modena, 9 may2003. “Movement system impairment Syndromes (Shirley Sahrmann) – Lumbar Spine” – teacher:accredited teacher Rosanna Baroni. 16-17 may 2009, Verona. “Movement system impairment Syndromes (Shirley Sahrmann) – Lumbar Spine” – teacher:accredited teacher Rosanna Baroni 6-7 june 2009, Milano. “Movement system impairment Syndromes (Shirley Sahrmann) – Lower Quarter” – accreditedteacher Rosanna Baroni. 17-18 october 2009, Milano. PNF Proprioceptive Neuromuscular Facilitation, level I & II. Original course by IPNFA, teacher:Brigitte Gattlen. 20-21-22-23-24 january 2014, 5-6-7-8-9 may 2014, Trento. 3. “Musculo-skeletal evidence-based examination”, 2007-2009, Riabilitazione Oggi 4. “Bioethics for the health professionals”, 2011-2012. Formazione Salute. Later, I moved my area of interest from that of neurological rehabilitation at the field of musculoskeletal rehabilitation. Editor in Chief, Riabilitazione Oggi, the main italian periodical in physiotherapy and rehabilitation (22.000 copies / edition) (registered in the of Journalists Professional Association of Veneto Region).